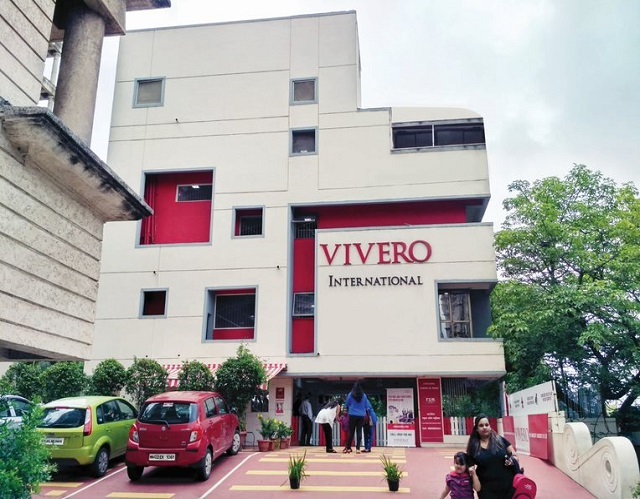 Vivero International Pre-School & Child Care at Hiranandani Gardens, Powai, nurtures your child's all round development with integrated social and cultural experiences. Inspired by the Reggio Emilia approach, it values your child as independent, capable and resilient, rich in wonder and knowledge. Spread across a 5000 square feet 3-storied building, the preschool has warm and welcoming learning spaces. A patch of lush green along with an outdoor play area on stilts, a splash pool and the sand-play area are attractions that thrill children and parents alike. The classroom environment evokes deep curiosity and wonder, allowing children to explore and discover the world. At Vivero, learning and play are not separated. Indoor and outdoor spaces are rich in possibilities encouraging collaboration, communication and exploration. Children are provided with a wide range of materials including microscopes and overhead projectors and natural resources for exploration. A Vivero teacher mentors and facilitates -observes children, listens to their questions and finds out what interests them and provides opportunities to explore further. With an aim to make children future-ready, children use a combination of technology and traditional ways to express learning. A strong literacy and numeracy program ensures a smooth transition of children to formal schools. Life skills including self-regulation, teamwork and leadership are integrated in curriculum. Children’s thoughts and expressions are documented through photographs and graphic art. The teacher inquires and listens closely to the children before documenting and assessing goals achieved. Safety of children is integral – 24hour electronic surveillance and entry monitoring ensures protection. The RFID cards help monitoring the movement of children between home and the School. Cleanliness and hygiene form an important part of our daily routines. At Vivero, your child is at the centre of our universe. 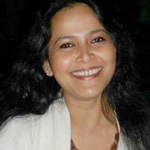 An experience of over more than a decade in the pre-school industry and having worked extensively with most of the eminent players of the field has provided Ms. Richa the edge for creating far more enriched, challenging and stimulating environment for the holistic development of the child. She is a Commerce Graduate with a certification in Cambridge International Diploma Teachers and Trainers (CIDTT). Her five year association with Edvance Group of Pre-Schools has offered her an opportunity to become a strong people’s person. Her previous role involved setting up various processes and policies to be executed at the school level. And now being at school, she can truly be instrumental in shaping responsible, passionate and global citizens for the 21st Century.